So here's my first question.. I have a poly box and want to cut a shape into it.. I know how to use booleans but I think they're quite ugly and i dont like making an Editable Poly then Boolean then EdiPoly (over and over). Is there an easier (and cleaner) way of doing this? can you show a pic so I can see what you are reffering to. Maybe the book I have can offer some help. Like I've said I already moved on so it's hard to explain. But in the pic you can see the cutout from the original box. Booleans create unnecessary edges and it makes the polygon hard to work with. yep, the boolean operations always have more or less glitches dependent on the complexity of the 2 models. But i fear there is no way around that. The only thing you can do to reduce the errors, is to apply the boolean operation once, then remove the errors and finally copy the whole section to the duplicate places. 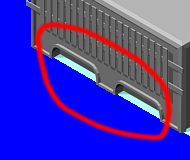 For such easy shapes as you have shown on the pic, you could also try using the extrude function, to intrude the area and then use chamfer edges on the intruded part. extrude/intrude and chamfer edges doesn't produce that much mistakes. Or use poly cutting meathods. Inset and what not. Connect, Extrude, Chamfer and Inset are your best friends in poly modeling. yeah, like LKO and Regulus said the extrude type deal. look at example. make a box and give segments, 5 and for then convert to editable poly, on segment 2 and 4 and select connect and give odd number connects, I gave 7. I did not select the outer 2 of the vertices arrows and selection the vertices on the dots on the low edges on the outer edges and moved the outer most up so far to form the arch. Does that help? http://www.ppmsite.com/forum/viewtopic.php?t=30594 the book here is good as is the site. It can be a help when making vehicles in 3d max. The site has some good videos. That book I suggested in the post has some good pointers. It was written for gaming. It talks about making arches, bridging, extruding, working with lighting, basic shapes and texturing. I usually make a building, doing all my extruding, bridging, connecting on one piece. Then I copy each piece not moving it, giving specific names, ex: if its the base of a building name base or roof....I make each of these buildings unique. Then I'll go to say the roof building, hide unselected and delete all polys except roof stuff. I do this for the purpose UVW Mapping. I will do this for all specific items; roof, base, building, window trim, stairs, chimneys, what have you. Since I did not move the buildings in any way they will all line up like they are suppose to be. I got the Polish building (from a name escapes me at the moment) and plan to use this process. The model is pure Editable poly. 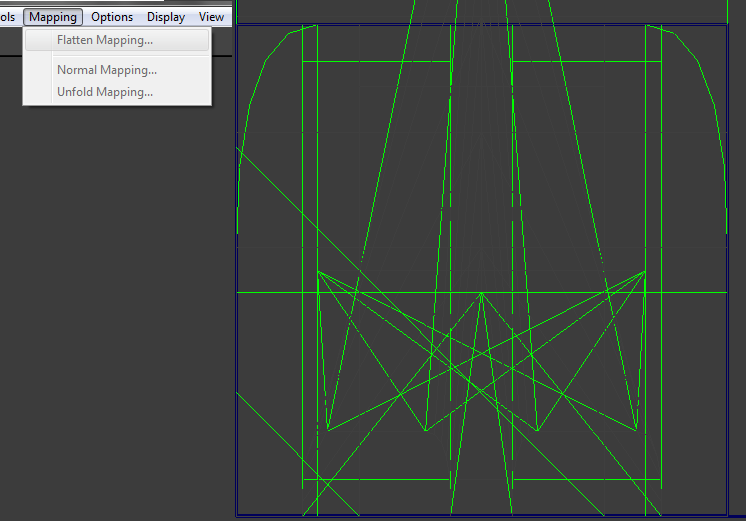 I cannot seem to flatten OR unfold the models uvws. can someone tell me what i may have missed? Alrighty I'll check that out thanks...any idea on how to render more than 100 frames? 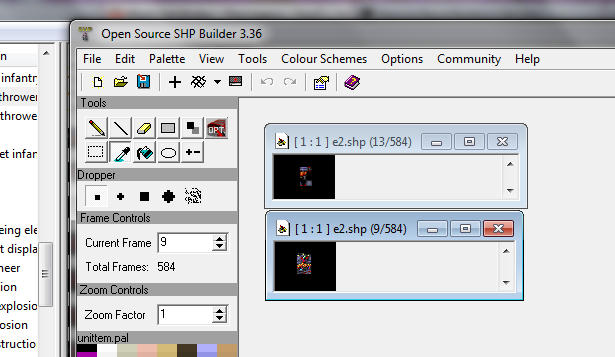 and how/what i need to save the animation as so i can put it in SHP editor? if you rightclick on the "play-symbol" you can change the animation length. 100 frames is way overkill for an animation. Most Animations in TS were around 32 frames or so, with 16 frames or so being the actual animation, depending on what type of animation it is. So 100 frames is a gross overkill for at quality. On the 4th setting on the game speed tab in Tiberian Sun, it is supposed to run at 60 frames per second. So I suppose you could theoretically double everything to 64 frames or what not, but it doesn't make a huge difference. The more frames, the slower the animation, generally speaking, assuming 60 frames a second. The 100 frame animation isn't for Tiberian Sun, Regulus. I watched a video on Max and the guy used Arrays (it wasnt a tut and there was no audio) so does anyone know how I can use this feature? I dont think using Array is what your after, but here's a tut for it. did you figure out how to add more frames to 3d max? Ah yes thank you Cranium! And yes i did, thanks Nik. Posted: Fri Jul 29, 2011 4:03 am Post subject: Shp Builder problem. DUDE. it's NOT the pallet. Look at the picture. the guy is all scrambled. That's not the palette obviously and yes he's using the unittem pal, it's just the TS version which doesn't have those missing pink colours. Maybe it's SHP compression? How would I go about testing/changing the compression? Sorry I've never encountered this problem before. compression needs to be 1 iirc. Banshee mentioned something about compression being any more causes problems and severe loss of quality. So once again I'm posting in this topic with a question. Yes I realize it's a huge bump....I said I would be bumping this and here I am. Alright so I've thrown 3ds Max out due to loving open source software and I am using Blender 2.61. I have already searched this site quite a few times but cannot find what I'm looking for. Does anyone have a template for Blender that fits in Tiberian Sun? I would greatly appreciate it if someone could send me on my way with a template. p.s. once you get used to the way Blender works it's AMAZINGLY simple! Love it! Judeau might still have one, though haven't seen him in ages. Or Blade. But, anyways, there was one around here iirc. Posted: Fri Aug 10, 2012 2:21 am Post subject: Update out of nowhere! So here's the bottom of a Scar I've been modeling starting at about 3pm today. My models are improving quite a bit. No textures yet as the model is obviously not complete. 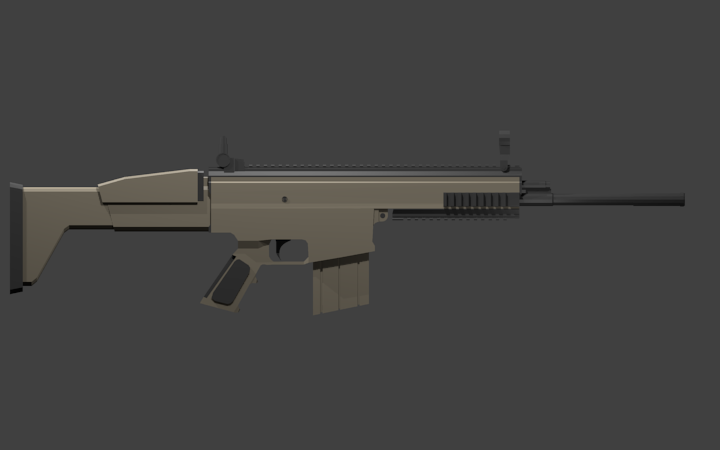 Pretty much done with the model (a little more work to do). I'm working on making it all one shape or mesh for ease of UVing. Posted: Tue Feb 05, 2013 2:53 am Post subject: Woot. Alright guys and gals I'm resurrecting this thread to show an update on that ugly model you see above. If you can find any of the things I modelled (probably badly) in blender that I posted here I always posted the blend file. Not sure how well they will work in the latest blender versions since 2.5 though.